Today in the shoe store, as I backed away from the cashier, I knocked over about ten boxes of girls’ sandals. “Oh no! I’m so sorry!” I called out as I leaned over to pick them up. 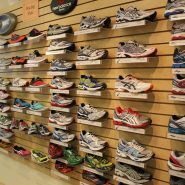 But before I’d managed to pick up a single box, from across the store, the salesman who had helped me out came jogging. I was kind of taken aback by, what appeared to be, his genuine desire to pick up the shoeboxes that I had knocked over. And I thought of the many thousands of times I have picked up/swept up/mopped up things dropped by other members of my family. And wondered where in the world this salesman picked up so much enthusiasm to pick up my shoe boxes. This is my job, and I love my job, and I love the people here, and I’m proud of what I’m accomplishing here, every single day. Great kavanas, and WHAT a rabbanit!